The UK’s second capacity market auction – likely to deliver more of the same? When the results of the 2014 auction were announced in January 2015, there was disappointment at how few sizeable CCGT projects had been successful. The low auction clearing price of £19.40 was good for consumers (and a welcome supplement to the revenues of many existing plants), but too low to enable most large new-build projects to be viable. Subject to the outcome of any pre-qualification appeals,** it appears that by one measure, only one** really new pre-qualified unit of “new” generating capacity with a capacity of more than 100 MW will participate in the “T-4 auction” for delivery in 2019. This is 370 MW of CCGT capacity at King’s Lynn, but in the 2014 CM register, the same project was said to incorporate some “existing but overhauled and enhanced” elements. Meanwhile, three CCGT projects in the 1GW+ bracket (at Spalding**, Damhead Creek and London Gateway*) were all rejected in the T-4 pre-qualification process, as was a proposed new unit at Thorpe Marsh (640 MW). 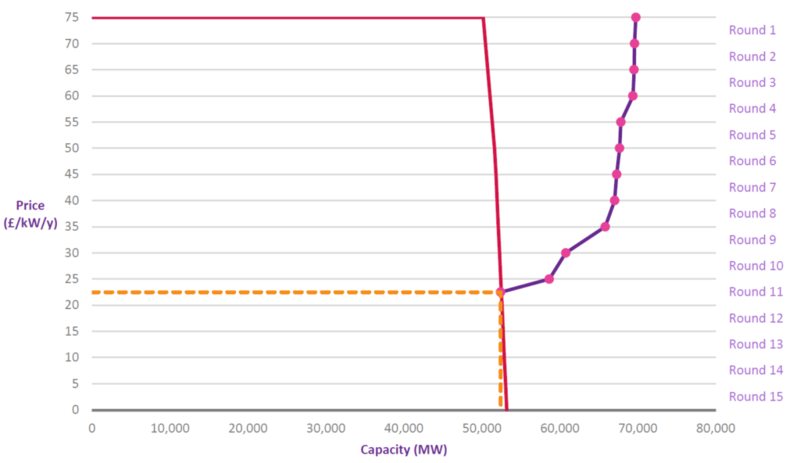 The recently consented Hirwaun and Progress open-cycle projects (299 MW each) also failed to pre-qualify. *** Carrington (880 MW) will go forward to the auction, but although it is described as a “New Build” project in the CM Register, this is a project whose construction is already well advanced, so arguably does not represent the CM stimulating new investment. 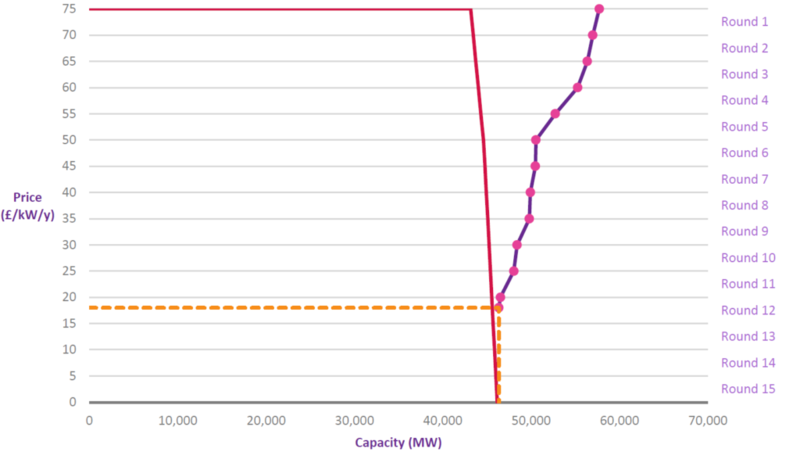 Meanwhile, the T-4 2015 auction CM Register records about 1 GW of existing CCGT capacity that has opted out on the grounds that it will have decommissioned or otherwise ceased to operate by 1 October 2019. A number of the rejected projects pre-qualified successfully for the 2014 auction, so their rejection seems puzzling given that the eligibility criteria are unchanged. On the evidence of the pre-qualification results, it looks as if most, if not all, the new generating capacity will be connected to the distribution, rather than the transmission network, and will have a capacity of no more than 20 MW, often in the form of reciprocating engines that can be fuelled either by gas or diesel. * Such plants can be developed relatively cheaply, and – being distribution-connected – can boost their revenues with “embedded benefits” such as Triad payments, or ancillary services contracts, in addition to power sales and CM payments. It is interesting that even the 370 MW King’s Lynn project is described as being distribution-connected. The large volume of CCGT schemes consented over recent years were seen by some as the natural successors to the UK’s ageing fleet of coal-fired plants and, with new technology, better able to cope with fluctuations in demand in generating mix increasingly affected by the intermittent characteristics of renewables. (In a recent interview with World Energy Focus, National Grid’s CEO, Steve Holliday, noted that three of NG’s four future energy scenarios have 20 GW of solar in the UK by 2035.) But although the CM Register reminds us that by 2019, we will have lost over 5 GW of generating capacity with the closures of coal-fired plants at Eggborough, Longannet and Ferrybridge, it also highlights the point that we are still likely to have at least 13 GW of old coal-fired generation in 2020. The same point emerges from the recent consultation on the UK’s Transitional National Plan (TNP) for compliance with the Industrial Emissions Directive (IED) as it affects large combustion plants). It also appears from an Annex to the TNP consultation that some plants have still left themselves the option of either upgrading their SOx and NOx emissions abatement measures so as to meet the IED in a phased manner under the TNP, or taking the “limited life derogation” (LLD) and running for no more than 17,500 hours between 1 January 2016 and 31 December 2023, before closing for good. So far, most seem to be choosing the TNP route, suggesting that we may have a significant rump of old coal-fired plant beyond 2020. Those hedging their bets have until the end of the year to make their final choice as between TNP and LLD (or earlier closure). Among the factors they will have to weigh up is how far low coal prices will offset the tax burden of the carbon price support rate of the Climate Change Levy; the reliability and maintenance costs of their ageing equipment; and whether there is a realistic prospect of new subsidy for biomass conversion or co-firing following e.g. the recent response to consultation on changes to the Renewables Obligation rules for those technologies. Other generators may have to calculate how far the CM subsidies to coal may depress wholesale power prices, making the economics of CCGT more challenging and Contracts for Difference for low carbon plant more expensive per MWh. Ofgem has now taken over the main responsibility for the complex rules that govern the CM. Following the 2014 auction, a very large number of rule changes were suggested, and a significant number were made. However, perhaps the two biggest changes in the 2015 process originated in DECC and European Commission policy decisions. When the auctions take place later this year, the T-4 auction will be the second time that a CM auction has invited bids to provide reliable generating capacity four years ahead but the “Transitional Auction” will be the first specifically in support of Demand Side Response projects. In fact, a number of DSR projects have been successful in both the T-4 auction and Transitional auction pre-qualifications. These projects are a mixture of “behind the meter” generation and what is sometimes called “genuine” DSR in the form of load reduction. Some are based around a single large industrial or commercial user, and others would aggregate the demand of multiple customers. Both specialist aggregators such as Kiwi Power and “mainstream” electricity suppliers such as EDF and Smartest feature among the pre-qualified projects. Given that the Transitional Auction is for first delivery in 2016/2017, it is interesting to note that a number of bidders have yet to specify exactly what their capacity market units will consist of. The European Commission required the UK Government to include interconnectors in the CM, but accepted that this was not possible for the 2014 auction. Following a consultation, a lot of work on how to approach the de-rating of interconnector capacity in the CM context, and some steps forward in Ofgem’s broader policy-making on various interconnector projects, a number of interconnectors were eligible, or required, to engage in the pre-qualification process for the 2015 T-4 auction. The two Irish interconnectors (Moyle and East-West) opted out, BritNed’s application was rejected, and among the proposed new interconnectors, only Nemo appears to have applied, and was rejected. **** The IFA has pre-qualified, but by definition it will be four years until its performance in the CM can inform further policy debate or the strategies of other interconnectors. The case that national capacity markets will be easily compatible with the workings of the EU internal electricity market is perhaps not fully made out yet. *Update note: since this blog post was first published, a number of new projects that were initially rejected for prequalification have been prequalified or conditionally prequalified – see the notes below. **Update note: since this blog post was first published, National Grid has issued revised results reflecting Tier 1 Dispute Outcomes. Amongst the changes from the 25 September 2015 results, the large-scale CCGT projects at Spalding, Damhead Creek and London Gateway are now listed as prequalified, or conditionally prequalified, for the T-4 2015 Auction, as has Thorpe Marsh CCGT Unit A. This opens the prospect of there being 5 really new large-scale CCGT projects in the auction, rather than one as appeared from the 25 September results. ***Update note: further to the appeals process, both these projects have now conditionally prequalified. ****Update note: Britned has now prequalified, and Nemo has conditionally prequalified. Once upon a time, UK energy policy revolved around the politics of dirty old coal. But in the 21st century, it’s all about low carbon technologies like wind and nuclear – right? Well – up to a point. As a reminder that coal is sometimes still at the heart of the debate, take a look at the final stages of the passage of the Energy Bill through Parliament, where the arguments were not about wind or nuclear power, but about keeping open a group of coal-fired power stations that are all over 40 years old. 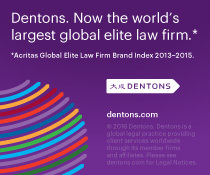 The Energy Act 2013, as it now is, received Royal Assent on 18 December 2013. Amongst other things, it legislates for Electricity Market Reform (EMR). As part of EMR, the Act imposes a limit on the quantity of CO2 which fossil-fuel generating plant may emit each year. This limit, the “emissions performance standard” or EPS, only applies to new plant. The EPS is set at a level which makes it uneconomic to construct new coal-fired generating plant with a capacity of more than 50MW in the UK unless it has carbon capture and storage (CCS) fitted – because without CCS, a new coal-fired plant could only meet the EPS by running for too few hours each year to justify the cost of building it. In practice, there was arguably little danger of anybody constructing such plant even without the EPS, because existing planning policies require any new plant to include at least 300MW of CCS capacity. The value of the EPS provisions, beyond simply reinforcing the policy position against new non-CCS coal plant, is that they apply to both gas and coal-fired plant, but in practice only “bite” on coal. This is because the EPS is fixed, until 2044, in the Act itself, at a level that does not affect the economics of building a new gas-fired plant (either open or combined cycle). In other words, the EPS regime is intended to reassure potential investors in new gas-fired plant. But the House of Lords inserted an amendment into the EPS provisions. This was not about gas, or about the new coal plant that the EPS is aimed at, but about existing coal-fired plant. Under the amendment, an existing coal-fired plant would have become subject to the EPS if it fitted the equipment necessary to enable it to comply with the new limits on emissions that apply to existing plant under the Industrial Emissions Directive (IED) from 2016. The IED is, of course, not about CO2 emissions. But supporters of the amendment argued that once a plant fitted the equipment necessary to comply with the IED limits on pollutants such as NOx, it could be in a position to run for decades to come, with no statutory constraint on its CO2 emissions – thereby potentially undermining the Government’s ability to substantially decarbonise the power sector by 2030. By applying the EPS to such plant, the amendment would have made retrofitting existing plant for IED compliance almost as uneconomic as building new coal plant, so the existing plant would close. The Government succeeded in reversing the amendment, so the EPS will not prevent existing coal-fired plant staying in the generating mix. This is arguably not ideal from a decarbonisation point of view, though it may have advantages in terms of security and affordability of electricity supply. But the debate on old coal plant does not end there. In future posts we will be looking at how decision-making by individual companies under the IED, and perhaps other parts of EMR, will determine the ultimate fate of these plants.